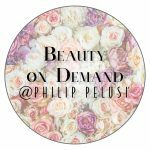 Beauty on Demand at Philip Pelusi is composed of Philip Pelusi designers that specialize in the art of hair crafting, blowouts and make up applications. And the best part? Our designers travel to your event! Your wedding day can be the most stressful day for any bride so we want you to leave the hair and make up to us. Once the bride and her wedding party find their inspirations and decide what services they will each require, the bride will sit down with a Beauty on Demand representative who will then build a custom quote. The bride will work with our representative to determine if any add on services will be required then they will agree on a start and finish time. The bride will know exactly how her hair and make up team will work with her at the time of the contract signing. On the day of your wedding you and your wedding party can sit back, sip champagne and relax as the Beauty On Demand at Philip Pelusi team will take care of all your beauty needs. 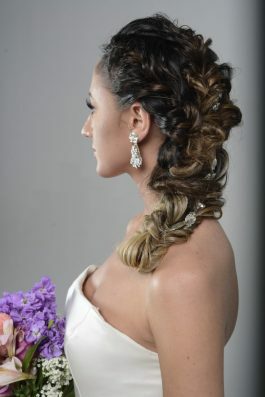 We have 3 teams of 8 designers who are specialized and are fully trained in all as­pects of bridal hair and make up. We can accommodate as many as needed. What happens if a designer is sick or can't make it? We have 3 full teams of designers so we will always have a full team on site for your event. All of our designers are full time stylists in the salon so the more time in advance we can book your event the better. 3 months is ideal for booking however we can always work with a tighter schedule. Can my wedding party and I have a trial run? We do offer in house trial runs for the bride where we will discuss options and do a full face and hair trial run. At this time photos will be taken and all products used will be documented. Members of the wedding party are always welcome for a hair trial run as well. I currently go to a Philip Pelusi Salon, can my stylist do my hair and/or makeup? Of course! If your stylist provides these services in the salon they can become a part of your Beauty on Demand team for your event.